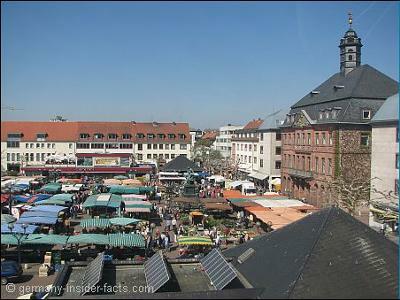 I lived in Hanau, FRG 88-91, loved spending time at the marketplatz and the swimbad on Lamboystrasse. I lived on pioneer kaserne and frequented the Rod and gun club in Grossauheim, but its gone nowadays. Was glad to get back to USA but I find myself thinking back to all the fun I had in the Hanau area. Write me anytime with questions. i was stationed at Fliegerhorst kaserne from 1984 -1987. spent most of my spare ime in Hanau and was at the rod and gun club evey sat night.loved listening to Tiny sing the house of the rising sun.met many wonderful people(German and American)and have many fond memories of the country. I also went to the swimbad downtown Hanau (many years of happy childhood memories) and practically lived at the Rod and Gun Club growing up as an army brat and then civilian employee. I lived in Hanau from 72 to 95 and those were the happiest years of my life. My mother moved to Stuttgart so I can't even go home to visit anymore though I guess there isn't much left to visit. My high school has been torn down along with the Rod and Gun Club. I to love Hanau. I grew up there from 1972-1994. I was 31 when I left Hanau and it was really hard to do but with my family living there I knew I could still go home. However now that they moved to Stuttgart I can't go home any longer it seems besides the Hanau I knew growing up will soon be gone. I practically grew up at the Rod-n-Gun Club and the other clubs in Hanau. My father used to tell me he knew what club I was at by what night of the week it was. Ha! I haven't been to Hanau since 2011 and it nearly broke my heart to see everything locked up. I did manage to get pictures of my high school before they tore it down. So sad. Thanks for providing us Happy Hanauers with this wonderful site to stroke our wonderful memories of Hanau. 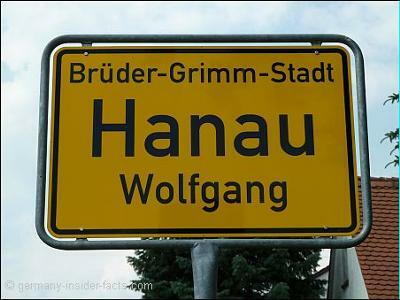 I lived in Hanau from 1974-1994. My mother lived there until 1996 but has now moved to Stuttgart so I don't get there very often anymore. Hanau will always be my home and I visit every time I get a chance. It was just wonderful growing up in Hanau and the surrounding communities. After I graduated I had my first german job and then my first american job. Oh the joy of those years. I miss the military comradarie the most. We were all like one happy family back then. I miss all my friends I made there. Some I have kept in contact with over the years and some I have lost contact with but they will always be in my heart. I was with you during this time as well as the unit was relocated to Karlsrule in 1991. After we had moved I missed Hanau and all the surrounding areas I remember going to such as what you mentioned, the Rod and Gun Club, Frankfurt, The Palladium, The Boat, etc, etc! If you see this message you can find me on facebook. I hope everything has been going well for you all the years that have passed since then. Thanks for sharing your memories. Like you, many Americans who were stationed in Hanau have fond memories. The closing of the US military facilities in Hanau was a sad affair for both Americans and citizens of Hanau as well. After 63 years, it was indeed the end of an era. Perhaps you have the chance to come back for a visit some day.